Three brothers, dirt poor, become an infamous bank robbing trio that is headed for Canada with their stolen money. That's the main plot, but many subplots thread their way through the novel, all coming together by the end. This is the work of a good writer maturing into a great one. The world is complete and every single character feels whole and authentic. It's a gritty tragedy in the southern Gothic style (though most of the novel takes place in Southern Ohio) that allows redemption and hope to still exist in a bleak and unforgiving world. It is 1917, in that sliver of border land that divides Georgia from Alabama. Dispossessed farmer Pearl Jewett ekes out a hardscrabble existence with his three young sons: Cane (the eldest; handsome; intelligent); Cob (short; heavy set; a bit slow); and Chimney (the youngest; thin; ill-tempered). Several hundred miles away in southern Ohio, a farmer by the name of Ellsworth Fiddler lives with his son, Eddie, and his wife, Eula. After Ellsworth is swindled out of his family's entire fortune, his life is put on a surprising, unforgettable, and violent trajectory that will directly lead him to cross paths with the Jewetts. No good can come of it. Or can it? In the gothic tradition of Flannery O'Connor and Cormac McCarthy with a healthy dose of cinematic violence reminiscent of Sam Peckinpah, Quentin Tarantino and the Coen Brothers, the Jewetts and the Fiddlers will find their lives colliding in increasingly dark and horrific ways, placing Donald Ray Pollock firmly in the company of the genre's literary masters. DONALD RAY POLLOCK is the author of the novel The Devil All the Time and the story collection Knockemstiff, recipient of the 2009 PEN/Robert W. Bingham Fellowship. He worked as a laborer at the Mead Paper Mill in Chillicothe, Ohio, from 1973 to 2005. He holds an MFA from Ohio State University. 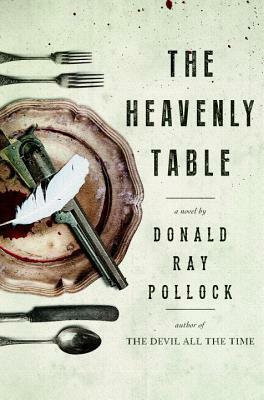 "Like a hybrid masterwork of Quentin Tarantino and Flannery O'Connor, Donald Ray Pollock's second novel, The Heavenly Table, is a comic Southern Gothic romp, hell-bent on making the reader squirm and laugh, often at the same time...The literary feast the novel offers becomes its own heavenly table..."
"There’s just no way to emerge unsullied and unscathed from Donald Ray Pollock’s Southern Gothic outlaw tale The Heavenly Table. Readers venturing into this grim territory, out beyond Cormac McCarthy and Patrick DeWitt, in the bizarre vicinity of Harry Crews’ manic intensity and the depraved noir of Jim Thompson, are apt to be startled and disturbed by what they witness, and not least of all by the sound of their own laughter...While some readers will feel that Pollock goes too far, others will find him very much in step with the times." "In its bloody, violent, terrible collisions, The Heavenly Table feels like Blood Meridian if Cormac McCarthy had been born with a streak of black humor in him rather than just terseness and rage. Or like an early, freaky Tom Robbins novel if Robbins had been a mean-hearted sadist to whom death (ugly, swift and meaningless) had been the only natural conclusion to every paragraph. It is a book that leaves a sheen of filth on you when you read it. Which makes you taste the road dust and pig's feet (and worse), and see some things that you can never un-see. But by the end of it — by the time the curling paths of the Fiddlers and the Jewetts and a dozen-odd other random characters have twined together — it has also turned a smart and complicated corner, asking (without ever really asking) who are the bad men and who are the good?" 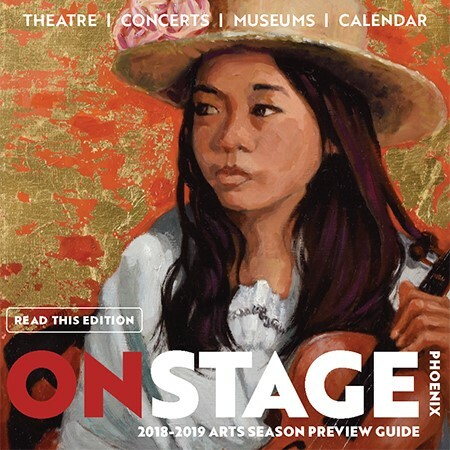 "Like Mr. Pollock’s 2011 “The Devil All the Time,” this is a jauntily amoral, amusingly macabre and somewhat juvenile entertainment—a beach read to enjoy on the shore of a lake of fire." "The Heavenly Table succeeds in unifying a series of long and short narrative strands into a cohesive whole. Without sacrificing irony, [Pollock's] writing possesses a sincerity that has no time for late-postmodern gaming, and while remaining committed to realist conventions, his blue-collar sensibility distinguishes him from contemporary practitioners like Jonathan Franzen and Jeffrey Eugenides." "With furious prose and a Faulknerian eye for character, Pollock (The Devil All the Time) populates his second novel with dozens of memorable people who embody America’s headlong leap toward the future in the early 20th century...Pollock knocks it out of the park." "In a dark yet redeeming Gothic story set in the farmlands of Georgia and Ohio in the early 1900s, the three Jewett brothers set out on a cross-country journey of crime and violence. Little do they know that fate has arranged for their paths to cross with a farmer and his wife who will change their trajectory." "With furious prose and a Faulknerian eye for character, Pollock (The Devil All the Time) populates his second novel with dozens of memorable people who embody America’s headlong leap toward the future in the early 20th century. In 1917, everything changes for the Jewett brothers—Cane, the capable one; Cob, the “slow” one; and Chimney, the hothead—upon their father’s sudden ascension to the “heavenly table.” With the exploits of their pulp fiction hero Bloody Bill Bucket fresh in their minds, the brothers embark on a violent journey north, escaping the backbreaking, fetid swamps on the Georgia-Alabama border and their lives under the thumb of sadistic landowner Maj. Thaddeus Tardweller. In southern Ohio, aging farmer Ellsworth Fiddler and his wife wait for their prodigal son to return home after a brief absence, during which he may or may not have enlisted in the United States Army to fight in Europe. Facing inexorable change—automobiles, airplanes, the machinery of war and agriculture—Ellsworth and others who frequent the local mercantile are “in agreement that the world now seemed head over heels in love with what tycoons and politicians kept referring to as ‘progress.’ ” But the Fiddlers cannot fathom how their lives will be transformed when the Jewetts ride into town on a crime spree that has made them the most wanted men in the country. Set against the backdrop of America’s involvement in WWI and the rise of motorized and electrical technology, Pollock’s gothic, relentless imagination seduces readers into a fertile time in America’s history, exploring the chaos, wonder, violence, sexuality, and ambition of a nation on the cusp of modernity—and the outmoded notion of redemption in a world gone to hell." "The Heavenly Table is brilliant and unforgettable. In his trademark blend of humor and pathos, Donald Ray Pollock gives us a view into life's darkest corners, without ever forgetting there is a lighter side as well." "Think of The Heavenly Table as an antic, shambolic, guilty pleasure. Pollock’s prose is compulsively readable and often very funny." "A darkly comic gorefest by a gifted writer."